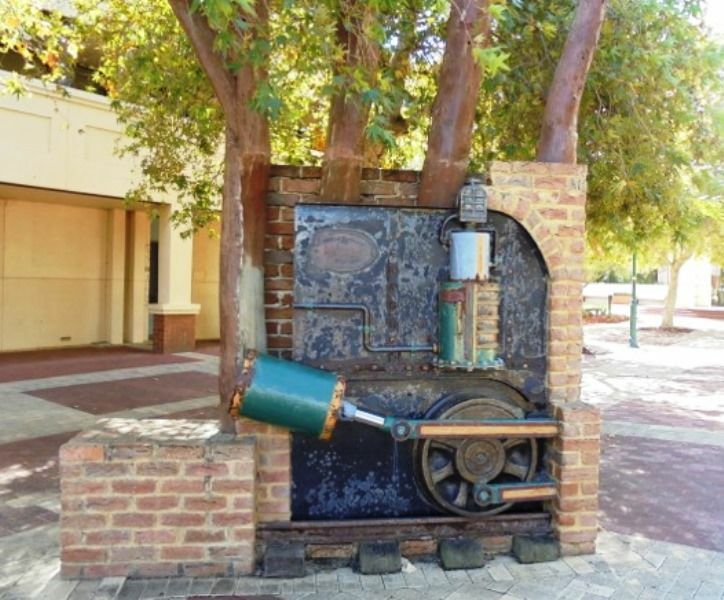 The sculpture "A Junction in Time " was commissioned to celebrate 100 years of local government in Midland. The bronze and copper sculpture of a steam engine embedded in a brick wall incorporates a time capsule with contributions from Midland Primary School children and the Midland Centennial Committee. 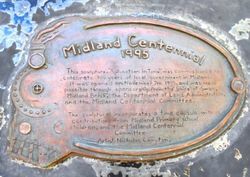 celebrate 100 years of local government in Midland. and the Midland Centennial Committee.